Killitch should be applied topically in early spring, before initial signs of sweet itch get a chance to develop. If action is taken soon enough, sweet itch may not develop, even in horses who have been afflicted with the condition in previous years. 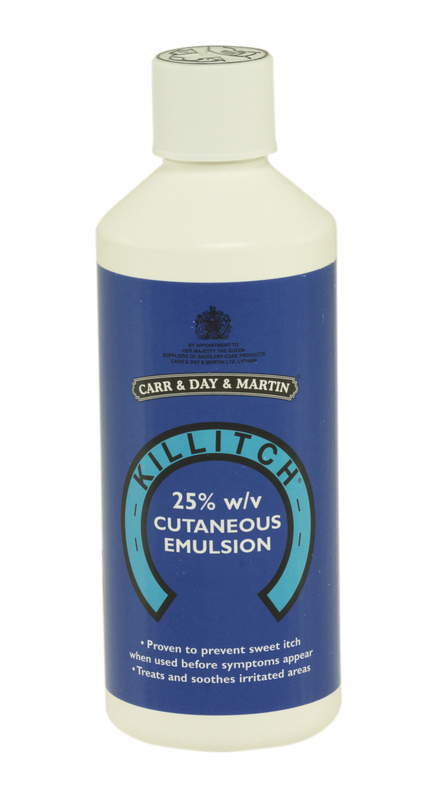 In horses who are already showing symptoms of sweet itch, 75ml of Killitch should be applied twice a day initially, then as the irritation improves, reduce applications to once daily, then 3-4 times a week. In addition, cleanliness of affected areas should be ensured by shampooing & rinsing thoroughly, at least once weekly.